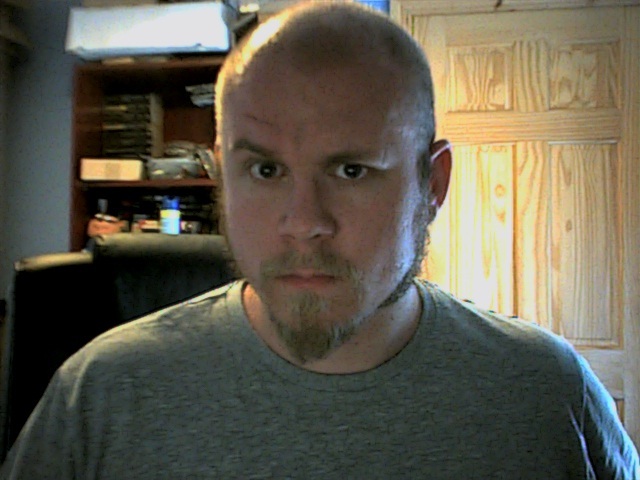 I also apparently forgot how to shave my head. I’ll tell you why I made this face, at some point in the future. No answer will be forthcoming for a while yet. It could be personal-life-related, it could be something about my career, it could simply be that I sat on something sharp, or conversely, something alive. Also, my eyebrow piercing scar looks cool, there. Go me.